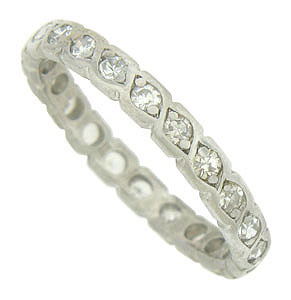 This stunning vintage wedding band features a figured chain cutwork set with sparkling round cut diamonds. The fine faceted diamonds dance around the surface of this Retro Modern wedding ring. 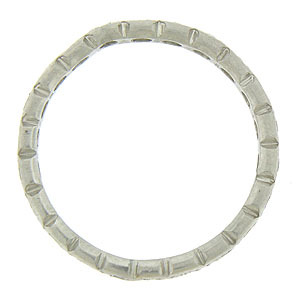 Fashioned of platinum, the ring measures 2.67 mm in width. Circa: 1940. Size 6 1/2. We can re-size.